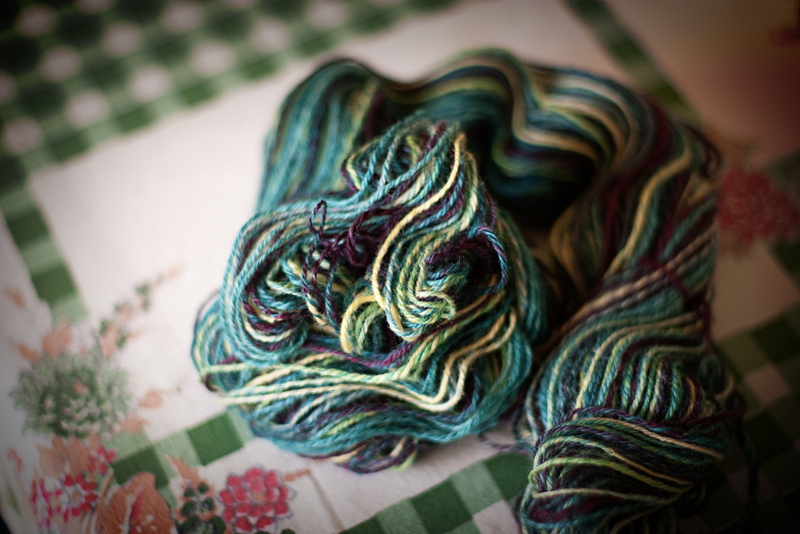 The color of this yarn was not very cooperative – these photos reflect the colors much better than the ‘on-the-bobbin’ photo. I’ve noticed lately that some new spinners think that you need to have a perfectly balanced skein of yarn when you unwind from your bobbin. Unless you are going for a very loose twist and you aren’t using your yarn for socks, this is not the correct way to be going about things. 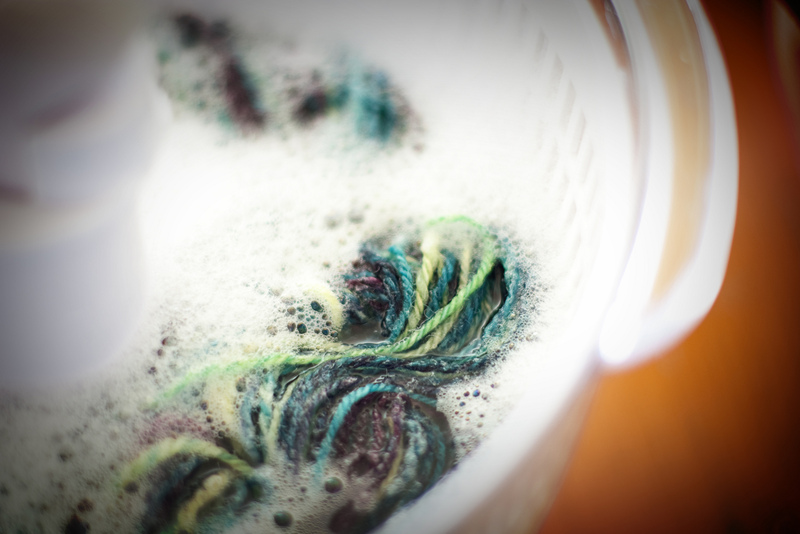 Sock yarn – or any yarn you plan on using in an item that will get a lot of wear – needs a lot of twist to be hardy and to withstand all that rubbing that goes on underneath your foot while you are walking around. 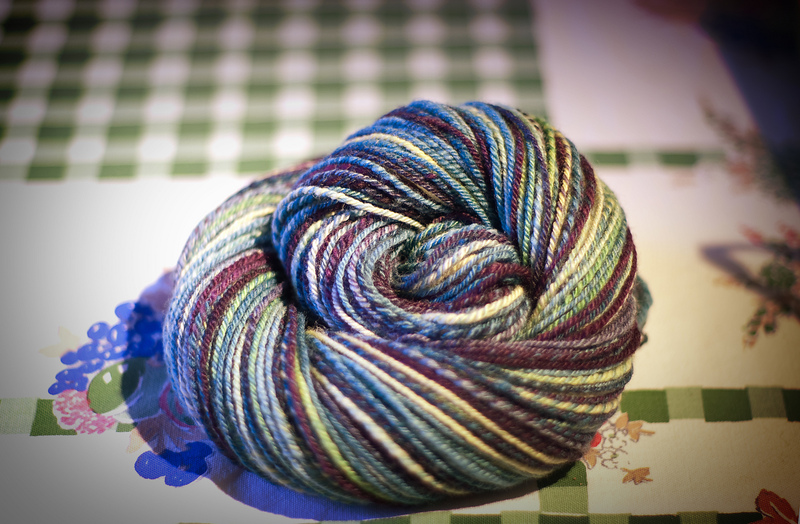 That concludes my PSA about handspun without enough twist. ;o) Go forth and be twisty!